Frank Proto was born in Brooklyn, New York. 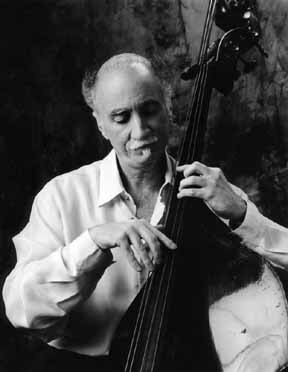 As a student of David Walter Frank performed the first solo double bass recital in the history of the Manhattan School of Music where he earned his Bachelor's and Master's degrees. In 1966 he joined the Cincinnati Symphony Orchestra where, with the help and encouragement of CSO Music Directors Max Rudolf and Thomas Schippers, he began to bloom as a composer. The early opportunities given him by the CSO to compose and arrange for the orchestra resulted in a 30 year stay in which the orchestra premiered over 20 large works and countless smaller pieces and arrangements composed for Young People's concerts, Pop's concerts, tours and special occasions. During his tenure every music director commissioned him to compose works to feature the orchestra on its subscription concerts. Working in such an all-encompassing musical atmosphere, both as a player and a composer, has resulted in Proto being able to become as comfortable with the large orchestra as he is with a jazz rhythm section. He has written music for such artists as Dave Brubeck, Eddie Daniels, Duke Ellington, Cleo Laine, Benjamin Luxon, Sherill Milnes, Gerry Mulligan, Roberta Peters, François Rabbath, Ruggerio Ricci, Doc Severinsen and Richard Stoltzman. Proto's span of interest has enabled him to transverse stylistic boundaries both naturally and effortlessly surprising many listeners that the same composer who wrote; Can This Be Man? - A Music Drama for Violin and Orchestra was also responsible for the political piece; Yesterday's News - A Satire for Jazz Band, Actors and Vocalist and the Pops classic; Casey at the Bat - An American Folk Tale for Narrator and Orchestra. He is one of the most widely performed American composers of his generation, his works having been performed by virtually every Major and Metropolitan Orchestra in North American as well as Europe and Asia. Proto has also composed over thirty pieces that feature the double bass in a solo capacity, including seven works with orchestra and a large selection of chamber music in a myriad of styles and settings. Some of these works have entered the standard double bass repertoire. Both his Sonata 1963 and the Carmen Fantasy have been performed hundreds of times by scores of bassists since their premieres. For David, who in opening my ears, eyes and heart, also gave me my life. These words are not used lightly, for indeed, David made sure that my ears were open to every aural possibility in music, and for that matter far beyond what many of his contemporaries regarded as music. He made sure that my eyes, along with my ears, were opened to what was behind those ideas being promulgated - by those who determine what public taste and policy should be - as well as what was presented to us up front. And Þnally he made sure that my heart remained open to those whose ideas were not particularly popular in their present time but perhaps had future possibilities. Lessons is a reminiscence of sorts. A lesson with David was never a straightforward exercise in getting through the hour (read: killing time). Even with a brilliantly prepared lesson there was always something more to search for and/or talk about in the music. If one played poorly - or didn't practice enough that week - there still would be much to discuss. And discussion didn't necessarily have to be about the music at hand. There were other topics ripe for picking - other musical subjects, current events, and even automobiles (how many bass players drove Volkswagens in the 60s? Yes! And I'm sure that half of them must have studied with David, who if he wasn't the first to drive one certainly had to be among the first three!). The stories of Toscanini's Beethoven rehearsals or Casals' reverence of Bach sometimes sent my mind searching the what ifs during our lessons. What if Bach met Monk? What if Dizzy met Strauss? Discovering Beethoven for the 1st or 100th time with David is an unforgettable experience. What if the Doctor showed up in the Tardis, picked up David & on the way made a stop for Toscanini before going on for a visit with Beethoven? Going off on long tangents was frequently the cause of a lesson stretching on an extra hour or so - while the next student patiently waited for his turn. So the reminiscence here is about where my lessons sometimes went. As with most of the music that I've written, a more than casual familiarity with musical styles in addition to those of the 19th century would be of great help - which would make this little ditty a piece of cake if you were lucky enough to be a David Walter student.